Faculty member, Dr. Kimberlianna Podlas will participate in this year’s Wake Forest School of Law Intellectual Property Law Journal symposium, “Copyleft vs. Copyright: Artist and Author Rights in Tomorrow’s Digital Age,” which will focus on how current copyright laws are applied to tomorrow’s technologies. The symposium will be held from 8 a.m. to 3 p.m. Friday, March 5, in Room 1312 of the Worrell Professional Center. It is free and open to the public. “Empirical research from social science, including law, has shown that the framing of an issue and the narrative constructed about it can impact both the way that people think through that issue and the conclusions that they draw. “A similar concept is reflected in the law and litigation: ‘The best story wins.’ Indeed, stories impact legal decision-making, whether those decisions are in the form of trial verdicts or in legislation. With regard to the former, stories helps juries make sense of the evidence, adopt some notions over others, and assign blame. With regard to the latter, stories alert the public and legislators to which situations are need of reform, who needs protecting, and who should be punished. “The impact of framing and narrative are also apparent in contemporary discussions about digital music and the rights (or wrongs) of musical artists, ‘the business,’ and consumer-pirates. For the most part, the music business has framed the issue as ‘piracy,’ and told a story about how it has caused music sales to plummet and threatened the continued existence of the music industry. 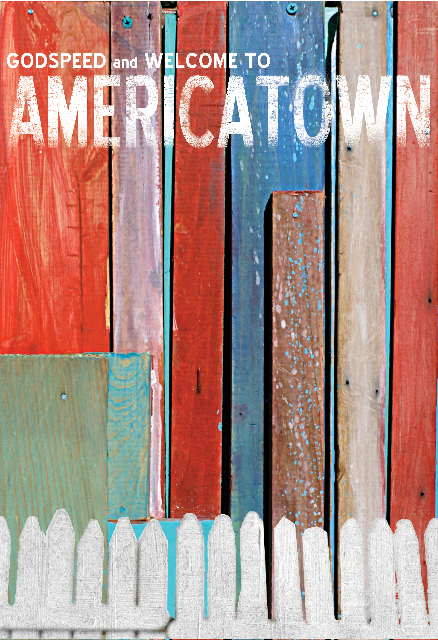 Graduate student, Kenneth Price’s feature film, Americatown premiers Thursday, February 25th! Godspeed, and welcome to Americatown, home of head mountain, letter sign on the hill and giant gap in earth. Known for locally made above ground cars, an almost infinite variety of breakfast cereals and unbridled, bald-faced greatness. This little burg of exactly one thousand citizens is the only place worthy of you. That is, until one cataclysmic spilled cup of coffee sets off a chain of events destined to test the gumption of Americatown. Can the Americatonians pull together and weather the madness or are they fated to crumble like so many tiny empires before it? For their second feature film, the Superkiiids! took two thousand bone-doggies, four folks and a minivan to explore and exploit the fruited plains/purple mountains, the mythology, the culture and pop culture of real life place (and Superkiiid! birth country): The United States of America, vision-questing into existence its microcosmic, hyper-realistic stepbrother heretofore known as Americatown! Land of the free-radicools. Home of the bad-to-the-bone…Get on the bus. Having recently purchased a Canon 7D DSLR camera that shoots HD video I’ve had to adapt to its strengths and weaknesses by changing my shooting style to play to its strong attributes and work around the camera’s weaknesses. The major problems with the camera is its incredible depth of field which can make finding focus an exercise in futility, its lack of pro audio capabilities and due to its awkward size and weight the inability to properly shoot handheld while in video mode. I’ve been extremely happy with the footage I’ve shot so far with the camera and want it to be my primary camera due to its amazing low light capabilities and overall image quality. This is why I feel that I needed to quickly find a solution to the handheld conundrum, which has made it either impossible or expensive to shoot in the past. Unfortunately a $1000+ dollar handheld rig is not an option for me. Therefore I have broken this category down into currently available solutions and solutions available at the sub $300 level. Handheld ($0): This option is free and basically produces consistently unusable video. It contains a constant jitter due to all the weight of the camera falling on your wrist while using it and produces what is commonly called the “jello effect” when panning left and right. The jello effect is caused because of the CMOS sensor (HVX, etc… use a CCD sensor) scans from top to bottom instead of the entire picture at once. So when you quickly pan it is taking in lines from different images. This is also commonly seen in cell phone video. Fig Rig ($300 (Homemade $20)): The UNCG Dance department happens to have two of these. They basically look like a steering wheel for an 18-Wheeler with the camera on a plate in the center of the wheel. The camera performs well in static shots where the subject isn’t moving, but because of the shallow depth of field on the 7D you are constantly having to pull focus on the camera. Pulling focus with the fig rig means all that weight that is supposed to be dispersed throughout the wheel is instead falling on the wrist that is holding the wheel and not pulling focus. 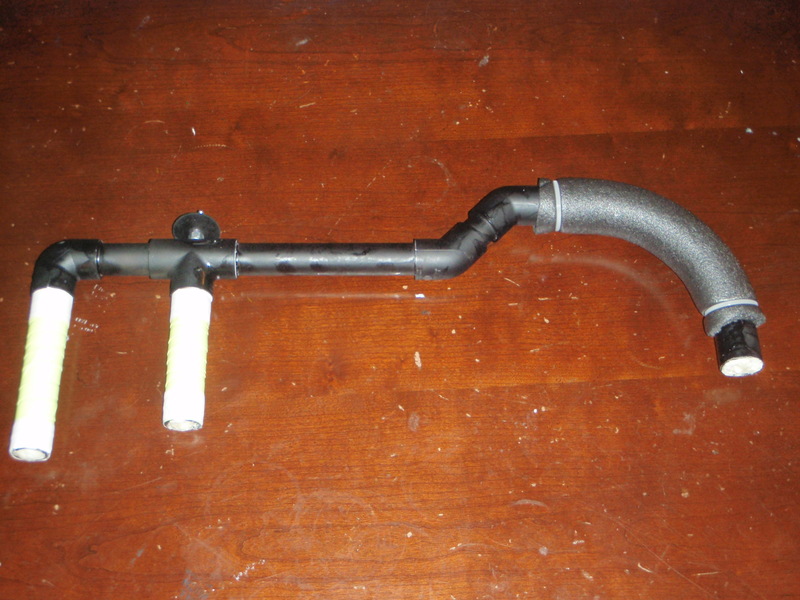 It should be noted there are plenty of DIY versions of the Fig Rig made from circular PVC piping that cost under $20. Monopod ($150): The MST’s Manfrotto Monopod turns out to be a great thing to have in your shooting kit with the 7D if you are going portable. I shot roughly 50% of my practicum using it and was pleased with the results while stationary. However, as soon as you begin to do moving shots with the monopod there tends to be a slight horizontal shake caused by the grip your wrist has at the top of the monopod. Basically, the monopod is great for static stuff when you don’t want to bother with a tripod but should be avoided in true handheld situations. Shoulder Brace ($15): This homemade shoulder brace is made to mimic the professional models like the Zacuto “Rapid Fire.” Instead of being made from metal it is made from PVC pipe. The unit cost around $15 dollars and takes about 3 hours to build from start to finish. There appears to be very little jitter in the movement. I believe this is due to the fact that the weight is being shared by your shoulder and not just your wrist as in the case of the other units. After extensive use with the various types of support systems I feel that the homemade shoulder brace is my best option going forward. It looks professional enough, but I don’t have to worry about losing it or someone taking it. It handles movement as well as the other options and it does an excellent job distributing the weight of the camera for long takes. However, throughout this process I kept wanting my camera to handle as if it was a regular video/film camera and I’ve eventually come to the conclusion that at a certain point you just have to let go of those expectations and make what you have access to work for your project. Hopefully future DSLR Cameras will be made with more filmmaker friendly features like image stabilization. The 2010 Carolina Film and Video Festival is coming to the EUC Auditorium in two weeks! Conversation with Barry Simmons and Lwala‘s Milton Ochieng’ after the screening and much more! Awards Night! Come see the best of the festival!